Rahul Sharma claimed that the attack was a fallout of the cases lodged by the Anti-Corruption Branch (ACB). Two unidentified people opened fire at the car of Rahul Sharma who made allegations against Delhi's PWD. 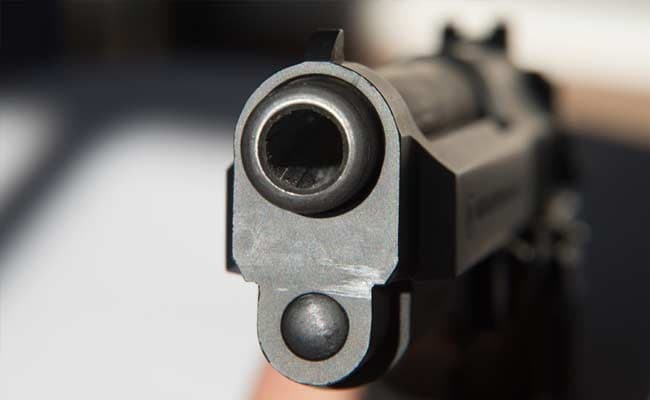 Greater Noida: Two unidentified people opened fire at the car of Rahul Sharma, who had alleged a "scam" in the Public Works Department (PWD) in Delhi involving a relative of Chief Minister Arvind Kejriwal. Mr Sharma escaped unhurt. According to Mr Sharma, a resident of Gaur City in Greater Noida near Delhi, as he and his cousin were travelling towards Ghaziabad around noon, two people on a motorcycle overtook their car near Gaur International School. "They fired at the front windshield of the car and fled. As they were wearing helmets, I could not see their faces," said Mr Sharma, the founder of the Roads Anti-Corruption Organisation, an NGO. He claimed that the attack was a fallout of the cases lodged by the Anti-Corruption Branch (ACB) on the basis of his complaint alleging irregularities in the grant of contracts for roads and sewer lines in Delhi in 2015. Mr Sharma had earlier submitted a complaint to the ACB alleging that he was getting threats since he had raked up the issue of the PWD "scam". Police said a case was registered at the Bisrakh police station in Greater Noida in connection with the attack on Mr Sharma and they were scanning the CCTV footage obtained from the area to identify the accused. Sacked Delhi minister Kapil Mishra tweeted about the attack on Mr Sharma. "Bullets fired at Rahul Sharma who filed 1st corruption case against Bansal Family, relatives of Mr Kejriwal. God is kind. He is safe. FIR Lodged(sic)," he posted. Three separate FIRs have been registered by the ACB in connection with the alleged PWD scam, including one against a company owned by Mr Kejriwal's late brother-in-law Surender Kumar Bansal. The FIRs are against three companies -- Renu Constructions, owned by Mr Bansal, and two other firms owned by Kamal Singh and Pawan Kumar respectively. Mr Sharma had alleged that Mr Bansal's firm was involved in financial irregularities in connection with the construction of a drainage system in north-west Delhi's Bakoli village, the contract of which was awarded to it in April, 2015. He had also alleged that the bills sent to the PWD for the "incomplete" works were "false and fabricated". "The company had obtained a contract for works which were never completed, but the payments were cleared. Even the process of bidding was manipulated," the complaint dated January 9 read. The invoices prepared by the company and purportedly obtained by the complainant through a Right to Information (RTI) application from the PWD were sent to the Sales Tax department for verification. Mr Sharma had claimed that the Sales Tax department had informed him in writing that the invoices were false and fabricated.